How much fun is this? 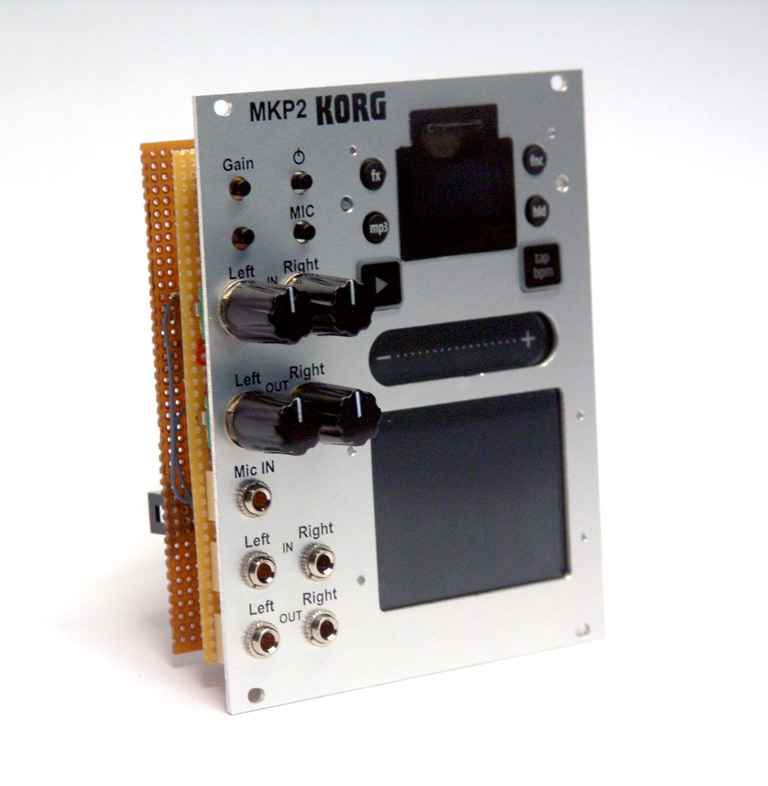 Take a new Korg Mini KaossPad 2 and customize it to fit a eurorack modular. 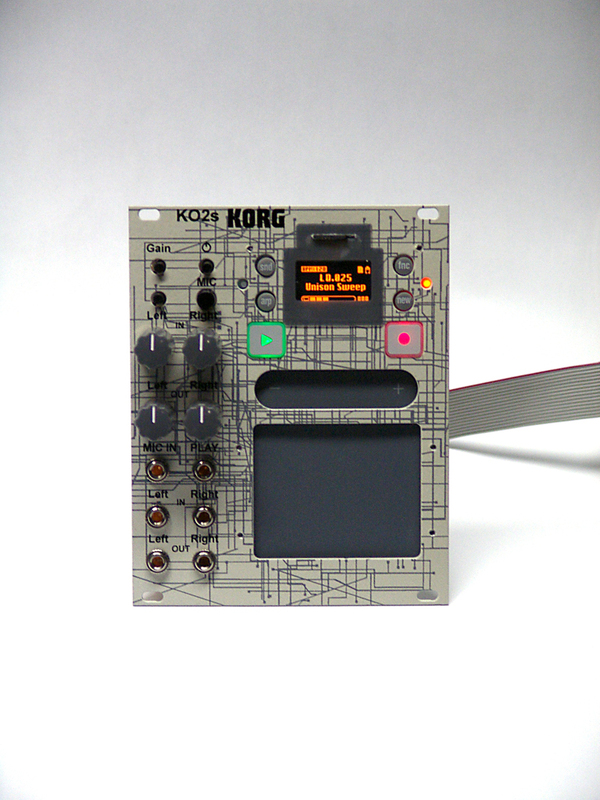 I hope Korg is watching, because they could easily double the price of their current offering just by adding a couple of necessities and putting it behind a panel. I added attenuation knobs of the incoming left and right channels and then added an amp to both outgoing channels to boost it to modular levels. I also added a latching switch to the mic input, so you can use it as an effective 3rd channel in. 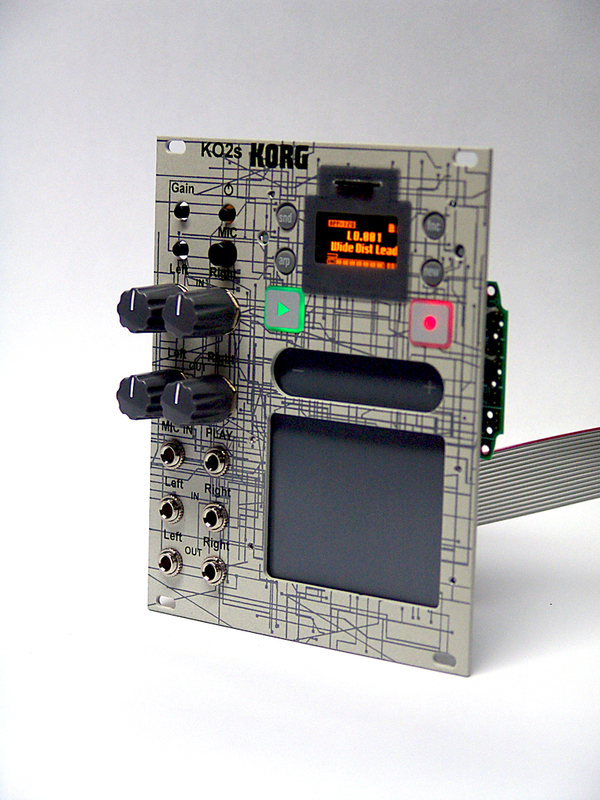 Using the hold feature is like setting two pots instantly, so fellow wigglers that kinda changes the game as far as immediate performance of your effects in euroland:) Before you write this off as cheesy, look at the list of features this little guy has and compare it to any of your current eurorack modules. MP3 player with microSD card slot for audio data storage/exchange; add effects to audio without additional equipment! 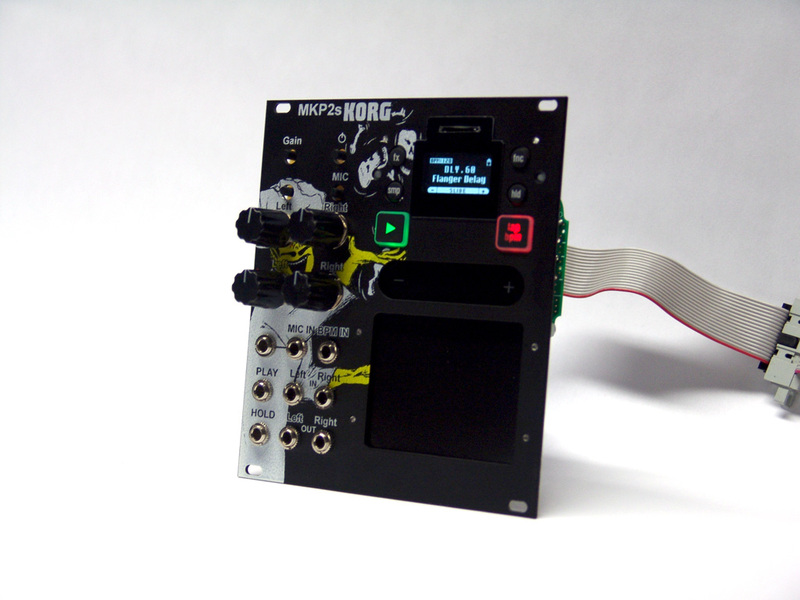 Virtual crossfader for transitioning between onboard media files and audio inputs. 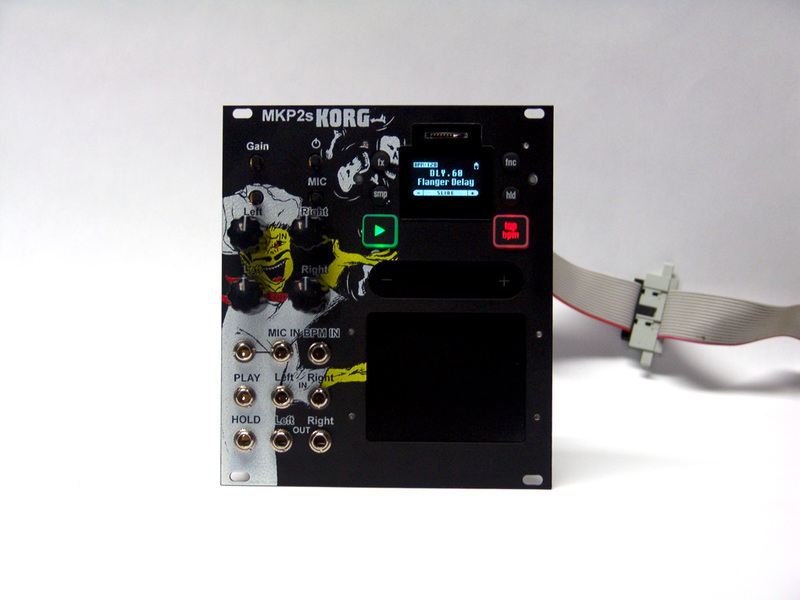 Combine with an external media player – or another Mini Kaoss Pad 2 – for DJ-style performances! 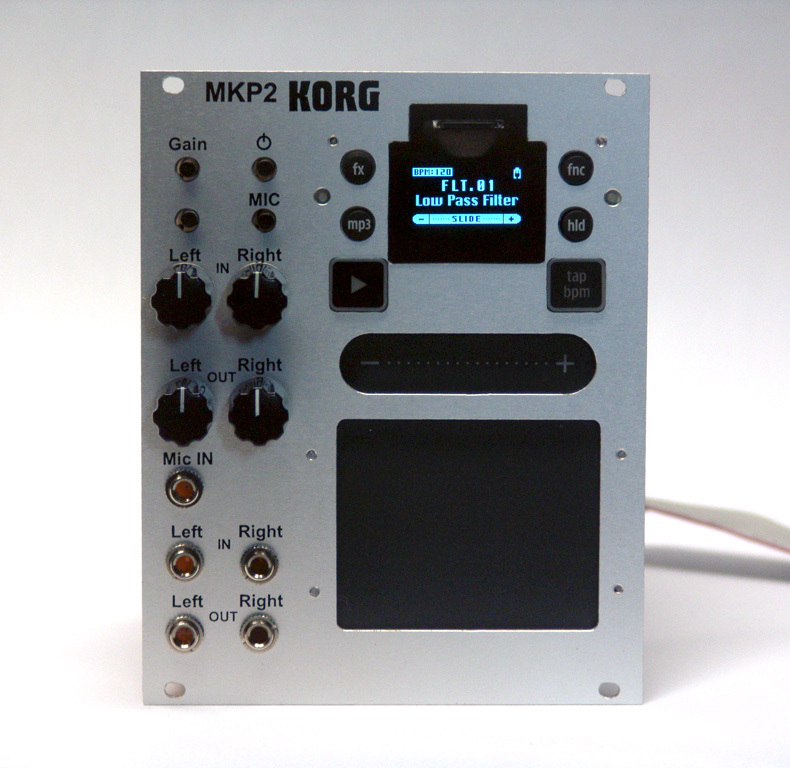 More info about the actual Korg Mini Kaoss Pad 2 here.